Bank GK, Latest GK, Reet Exam GK, Rajasthan police Exam Gk, And Date Wise 22-01-2018 GK Notes Delhi Police Exam GK, SSC CGL Clerk GD Exam GK, HTET Exam GK, CTET Exam GK, PTET Exam GK Questions. General Knowledge questions on Indian Economy And World Economic Set 36 and The Finance Commission is a constitutional body which is constituted by the President of India to divide Central Government’s taxes into all states. 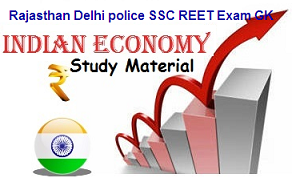 In this article, 10 questions related to Finance Commission are given which will be very useful for upcoming exams like IAS, PCS, SSC, CTET, RTET, REET, HTET and Lecturer, Second Grade Teacher and Third Grade Teacher Exam, and Rajasthan, Delhi Police Related Study material And All competitive exams and will increase your intelligence skills. Question (1) India is the form of economic planning? भारत में आर्थिक नियोजन का स्वरूप है? Question (2) Who is the credit for presenting the first thoughts related to the scheme in India? भारत में योजना से सम्बन्धित सबसे पहला विचार प्रस्तुत करने का श्रेय किसे जाता है? Question (3) What Are the objectives of planning the Indian plan? भारतीय योजना निर्माण के उद्देश्य हैं? Question (4) When was the concept of planning accepted in India? भारत में योजना की अबधारणा कब स्वीकार की गई? Question (5) Who presents the final form of the five-year plan? पंचवर्षीय योजना का अन्तिम प्रारूप कौन प्रस्तुत करता है? Question (6) Who is responsible for making a Five Year Plan? Question (7) When did economic planning start in India? Question (8) When was the National Planning Committee established? राष्ट्रीय योजना समिति की स्थपना कब हुई? Question (9) Who prepared the draft of the Pradhan Mantri Jan Dhan Yojana? जन योजना का प्रारूप किसने तैयार किया था? Question (10) Who Was the person to be appointed as Chairman of the National Planning Committee? राष्ट्रीय योजना समिति के अध्यक्ष पद पर नियुक्त होने वाले व्यक्ति थे?